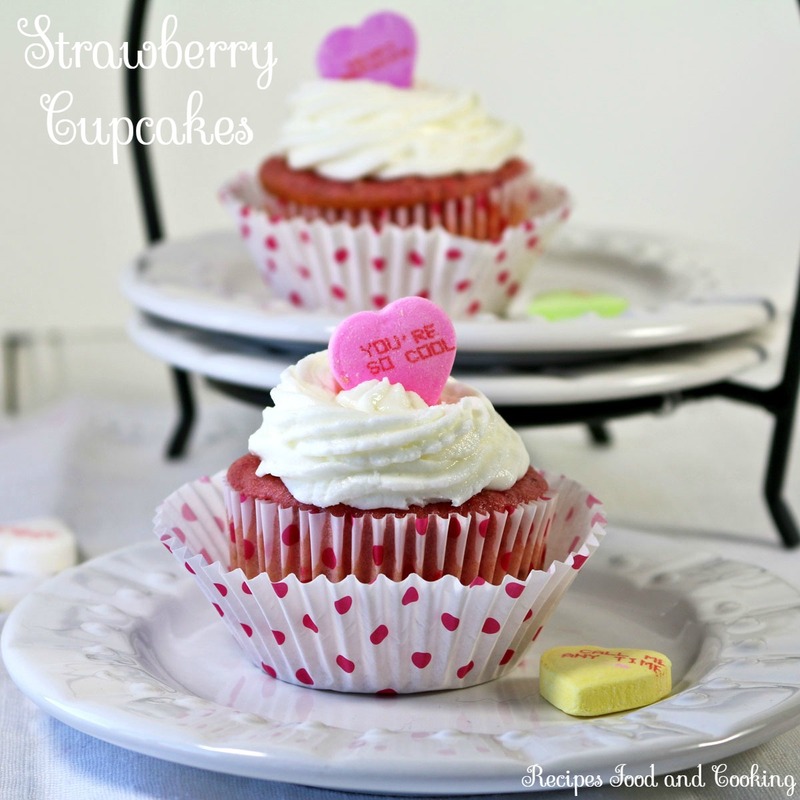 Grab yourself a strawberry cake mix and make these Strawberry Cupcakes with a twist. I added fresh strawberries to them and have to say I really liked them made this way. It brightened the flavor considerably. Frost them with a simple vanilla buttercream or cream cheese frosting and top them with conversation hearts. I noticed they’ve updated some of the sayings on the heart. These strawberry cupcakes start with a boxed cake mix and then you add fresh strawberries for a flavor boost! Preheat oven to 350 degrees. Put cupcake liners in the pans. Add the cake mix to a mixing bowl. Add the rest of the ingredients. With a hand mixer mix for about 4 minutes until everything is incorporated. Fill the cupcake holders 3/4 full. Bake for 18 - 20 minutes or until a tester comes back clean. Cake should spring back when lightly touched in the center. Cool.